And acquirer Plantronics is a surprisingly perfect fit. 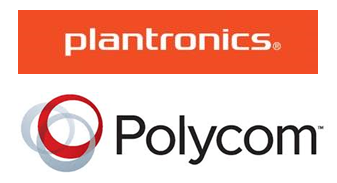 This week we learned that Plantronics agreed to acquire Polycom. It's an interesting, albeit unexpected turn of events. Let me start with the conclusion: It makes sense. One of my observations in my recent report on Enterprise Connect 2018 was that Polycom is getting squeezed. It likely wasn't the reality that private equity firm Siris Capital envisioned when it acquired Polycom in 2016. It doesn't appear that Polycom has much growth ahead of it. The video collaboration space is rapidly shifting to a service business. Polycom software is used by some providers, but it missed the window to build out its own hosted service. In fact, Polycom frequently positions itself as an endpoint maker, and recently announced partnerships with one-time competitors such as Zoom. The video endpoint game isn't as lucrative as the full stack solutions Polycom once sold. That means less R&D and less innovation. For example, consider the Skype Room System solution, a key segment for Polycom and its partnership with Microsoft. Here, Microsoft retains the core software, and its partners primarily provide the peripherals. That's a very different type of business for Polycom. It's a better segment for Logitech that doesn't design/build the compute components. Polycom also didn't receive its usual endorsement during the recent Enterprise Connect 2018 Microsoft keynote (watch the keynote here). In the past, Microsoft has relied heavily on Polycom for both telephone and video components. Though Polycom was mentioned, the sizzle was reserved for new solutions from Logitech, Yealink, and (wait for it) Plantronics. Microsoft also partners with Pexip and BlueJeans Network for video interop services. Cisco is out-innovating Polycom on video rooms, and companies like Dolby and Logitech are creating excellent room peripherals. The same is true for SIP phones. The UC vendors such as Avaya, Mitel, Unify, and NEC have upped their endpoint game, and Asian suppliers are applying more pricing pressure on open SIP devices. Polycom hasn't significantly updated its phone portfolio for years. Innovation was one of the reasons Polycom cited for its recent acquisition of Obihai. Also, a big part of Polycom's business is related to the BroadSoft ecosystem. Cisco recently acquired BroadSoft, and is expected to introduce technical and marketing incentives that will favor Cisco phones. Large installed bases, poor growth prospects, and lack of innovation commonly fuel industry consolidation. Plantronics is primarily known for its headset business, a sector it pioneered. Headsets have seen significant growth and change in the past decade, but are settling into a mature and crowded market. There's many new vendors in this space, and Cisco recently launched its own line of headsets. Plantronics has been seeking growth by exploring new revenue opportunities. This includes its recently launched Habitat Soundscaping line. More recently a new type of mobile endpoint was previewed at Enterprise Connect. Plantronics has also been expanding headset functionality with sensors and software, for example, adding the ability to automatically switch an agent to unavailable if they remove their headset. Among its core competencies, Plantronics understands manufacturing, distribution, and alliances. It has very strong engineering capabilities in audio and Bluetooth. Plantronics is also arguably the neutral Switzerland of UC -- something Polycom was attempting to become. What Plantronics needs is more products -- specifically, more products that can benefit from its innovation, manufacturing, and distribution capabilities. 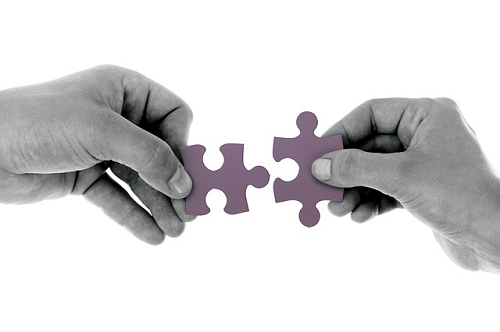 A big part of this deal lies in those synergies. Plantronics is effectively expanding from peripherals to endpoints. Simultaneously, one might say that endpoints, as a category, are becoming peripherals. Take for example the aforementioned Plantronics Mobile Phone Station that was previewed at Enterprise Connect. This is a smartphone dock optimized for Microsoft Teams. It features a speaker and headset, a keypad, and a wireless charger. Although the model featured was specific for Teams (it had a dedicated Teams button), the concept could apply to other UC and team solutions as well. It could also potentially connect to additional in-room audio and video components for group conferencing. On paper it looks like a wash. Siris acquired Polycom for $2 billion in 2016 and sells it to Plantronics for $2 billion in 2018. But there's more to the story. Acknowledging that Polycom's growth situation is less than robust, Plantronics is paying slightly less than half of the total in cash (Siris paid all cash). The remainder is paid by Plantronics absorbing Polycom's debt and paying the balance with about $362 million in shares (Plantronics stock is trading at near 52 week highs). While Polycom certainly adds growth to Plantronics, it doesn't necessarily solve Polycom's organic growth problems. That, however, might be ok. Plantronics stated the acquisition will be "immediately accretive to non-GAAP EPS" and it is expected to contribute $75 million in annualized synergies within 12 months (my sandbagger-inclined hunch tells me it's probably $100 million). It's a win-win deal. Siris saves face as Polycom returns to being part of a public company, and Plantronics land-grabs a fellow Switzerland at a reasonable price. Another important element to this deal is Joe Burton. Plantronics named Burton as its CEO in 2016, replacing Ken Kannappan, who had been at Plantronics for 21 years. This acquisition makes it Burton's Plantronics. Burton is among the more technical CEOs in the industry. He previously worked at Cisco and was briefly the CTO at Polycom -- he joined Plantronics in 2011. I imagine Plantronics will retain both brands going forward. Plantronics headsets, after all, are used with all brands of telephone endpoints, and Polycom has a strong brand and installed base to leverage. The acquisition also furthers Plantronics' commitment to its growing enterprise business -- which was up 6.5% last quarter. I'm looking forward to what Plantronics does with its unique arsenal of audio and visual capabilities. The combined company has know-how in Bluetooth, sensors, audio, and video, and advanced technologies such as noise fence and automatic camera switching. It also has a new provisioning cloud from Polycom's recent acquisition of Obihai. As consolidation plays go, this is reasonably strong, and likely one of the better scenarios for Polycom. Has Polycom Finally Found a Loving Home?